Learn how to play Joni Mitchell – Both Sides Now note-for-note on guitar. The complete file contains a lesson video, a performance play thru video, full tabs, chords and lyrics. You’ll receive a link to download the lesson which will download as a zip file of 203 Mb containing all the lesson content. Would you be able to send me the chords and tabs PDF? Can always just use the youtube video here but the tabs always make things go a lot smoother. There really isn’t an issue. It’s been downloaded thousands of times. What device are you using? Thank you very much Jerry! This tutorial is absolutely perfect! I hope to be as good as you one day! I downloaded for the chords and lyrics for Joni Mitchel Both sides now and have received nothing??????????????????????????????????????????????????? I just get the Zip File from Gerry as requested few minutes ago. So be patient and nice! Above all, this is free stuff so be patient and check your mailbox. Thank you so much for a great lesson and a superb download package – I’m truly grateful! Thank you your teaching makes it so easy to understand and you make it possible for me to play so many songs that didn’t think I could.I love playing in open D which I had never done before. Thank you so much, Jerry! Your transcription is the closest to the song that I’ve ever found so far. You are a gift to beginners! This is truely amazing. I still play the guitar but just wish I was forty years younger when I discovered your tutorial. It’s very well done. Saw Joni during the sixties several times. She played the Riverboat, Mariposa folk festivals. It was a magic era. Thank you very much for your kindness. Ron Jones. You’re welcome Ron. My uncle was also at the Mariposa Festival. 1966 I think. Yes it does. Something’s happening at your end. Can you email with more detail? The email hasnt sent to me aswell..
thank you so much! this is genial…. this will make it possible to play the songs on a friends wedding…thank you! Hi Judith. I just tested it with your email address and it works as far as the website’s concerned. That means the email has been sent to you. If you don’t have it (and it’s not in the spam folder either) then your email provider has rejected it. That’s very rare and very annoying. Try a different email address. Thanks for your great lesson and greater download package! I learned this song perfectly. Thanks Jerry, superb lesson (and for free!). Almost got half a set of Joni Mitchell / Bob Dylan DADF#AD tunes now without having to change the tuning back to normal – Sounds like a few Led Zeppelin “That’s The Way” chords in there too? Could you put up a list of Joni/Bob Dylan songs in open D please……yes it would be great to have a few without changing the tuning. Thanks. Hi Brian. Just add a vote or 3 to Buddy Holly on the voting page. 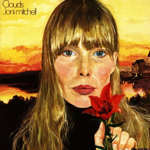 Thanks Jerry for free download on Joni Mitchells Both side now. I hope I can play half as good. Great video! Hi,Jerry, Could you please see my website, If there is any business opportunity or I can help, feel free to contact me.Thanks again. Hi Jerry, Great video’s unfortunately I have lost a couple of my John Denver downloads. How do I reload them. Just drop me an email letting me know which ones you’re missing.